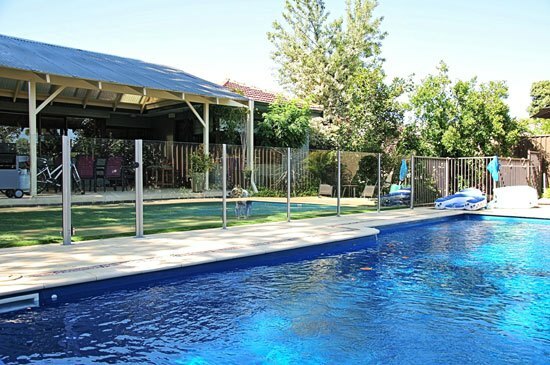 As Perth’s leading fencing supplier for nearly 30 years, Fencemakers offer a variety of quality pool fencing options that are compliant with current WA Pool Fencing Regulations. 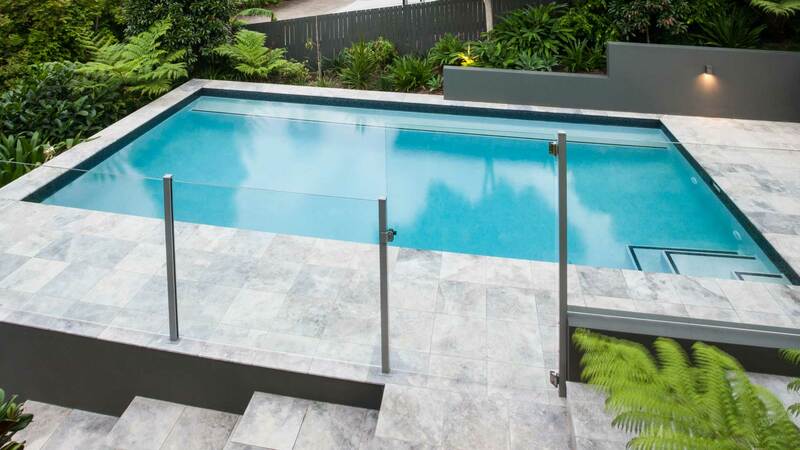 From frameless and semi-frameless pool fencing to custom designed glass balustrade options, Fencemakers will meet your requests as well as the necessary regulations without blocking the view of your pool. 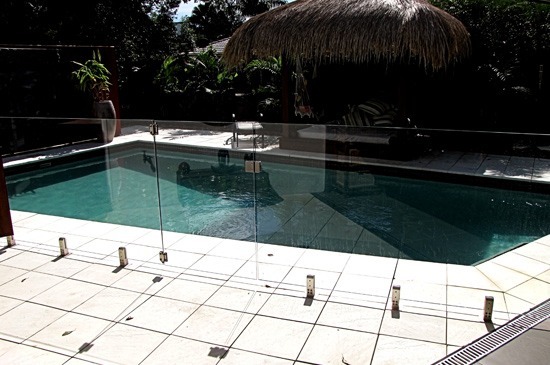 In addition, our glass pool fencing range are manufactured to be totally rust proof, giving your fence the elegant touch to blend into the background. 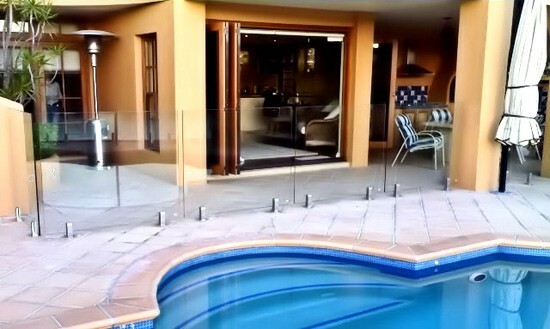 We also offer glass pool gates to match your style of fencing. 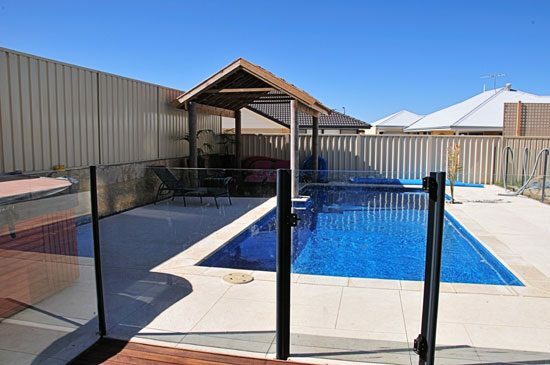 These options aren’t just ideal for a pool fence – they’re also great for your veranda or balcony, allowing you to enjoy the view in safety and style. If you’re concerned about keeping the glass panels clean, we can apply an ‘easy clean’ coating that makes your fence so easy to clean that you’ll barely notice it’s there! 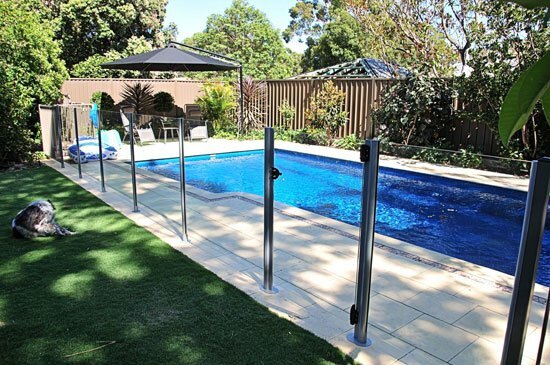 Alternatively, we also offer tubular steel or aluminium pool fencing if that’s your preference. 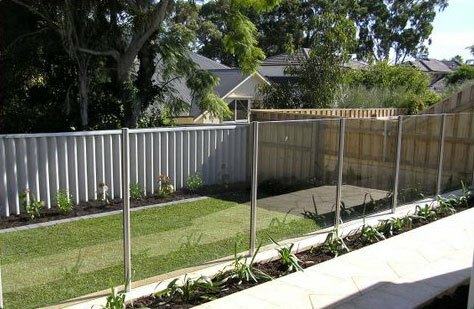 The frameless glass fencing option has 12mm glass panels mounted into ground fixed stirrups, providing an exclusive and unobstructed vista with excellent durability. 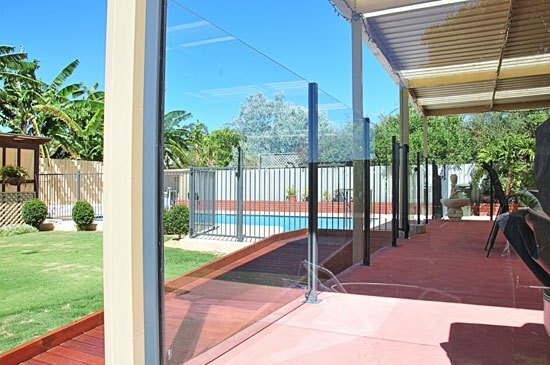 The cheaper semi-frameless glass fencing option has 8mm glass panels fitted between special slotted aluminium posts which can be powder-coated in your choice of colour. The thickness of the tubing used in our aluminium posts is a lot thicker than cheaper imported products used by other Perth fencing companies. 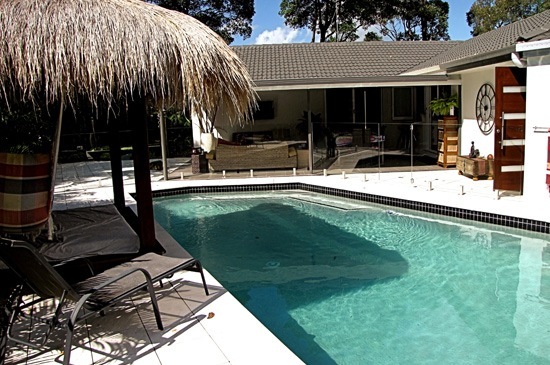 By doing this, our customers can be assured that our aluminium fencing is strong enough and will always pass pool fencing regulations. 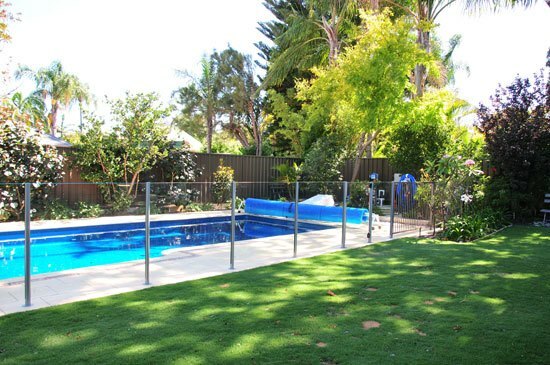 If you’re in Perth and want a consultant to come to your premises to provide a free quote or for more information about pool fences, contact us below and we’ll take care of the rest!